The Keeping Place is a powerful, innovative and safe tool for collecting, protecting and appropriately sharing cultural knowledge. 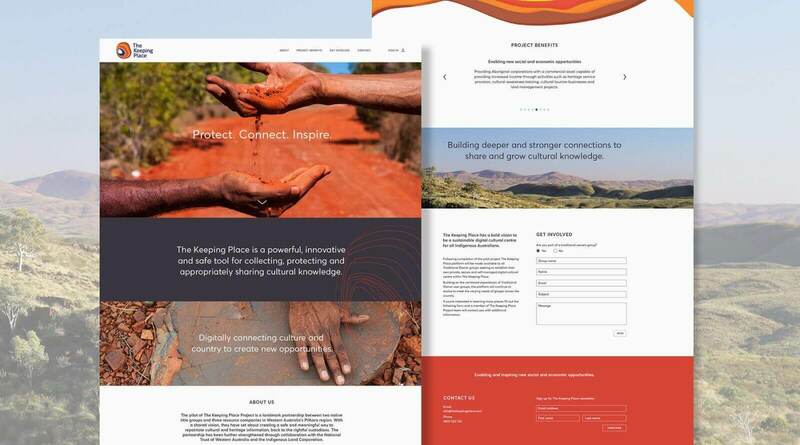 A secure and customisable online platform, The Keeping Place enables Traditional Owners to regain data sovereignty, apply cultural protocols, improve governance and unlock social and economic opportunities for current and future generations. The Keeping Place Project is a landmark partnership between two native title groups and three resource companies in Western Australia’s Pilbara region. With a shared vision, they have set about creating a safe and meaningful way to repatriate cultural and heritage information, back to the rightful custodians. The partnership has been further strengthened through collaboration with the National Trust of Western Australia and the Indigenous Land Corporation. The Keeping Place has a bold vision to be a sustainable digital cultural centre for all Indigenous Australians. 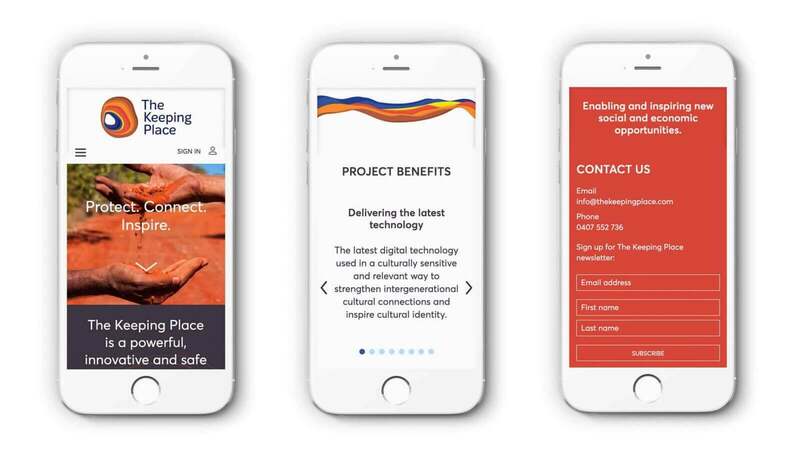 To achieve this, we needed to create a brand that helped clearly articulate this vision and ensure it was culturally sensitive and engaging for all stakeholders, in particular indigenous Australians and the rightful cultural and heritage custodians. The Keeping Place is, and more importantly, why it matters. It also clarifies the importance of ownership and access to the data. The strategic proposition is built around a powerful purpose of ‘digitally connecting culture and country to create new opportunities’. This was supported by detail audience profiles, values and a belief system that provides clarity and direction to all internal stakeholders. An evocative brand story, positioning, personality and series of key messages provide a robust and flexible framework to guide and align external brand communication. The shapes come together, change, morph and grow organically with flowing lines that bring to life the strength of song lines, different voices coming together to form a whole. Vibrant colours bring a bright and inspiring modern interpretation of the harmony and rhythm of culture for generations to come. 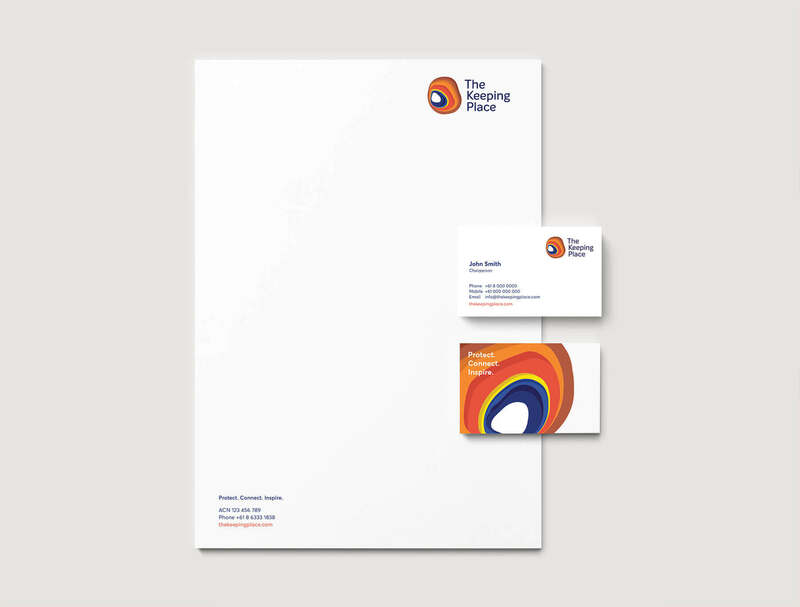 The identity design brings to life the importance of connection to country for Indigenous Australians in a modern, sensitive and respectful way with multiple layers of meaning. The layers depict the different levels of access and cultural protocols at the heart of the platform. It also has a strong connotation of the layers of earth and landscape bringing to life visually the connection to country through culture. The brand development process, facilitated by Truly Deeply, didn’t just result in an inspiring brand for our project - it also helped our team strengthen our own understanding of what we were trying to achieve. It helped us come together as project partners with a strong, combined vision.